Readers of the Art Law Report know that for several years running now, I have enjoyed events in Geneva organized by the Art Law Foundation and the Responsible Art Market Initiative in January/February. I am happy to report that this year is no exception. 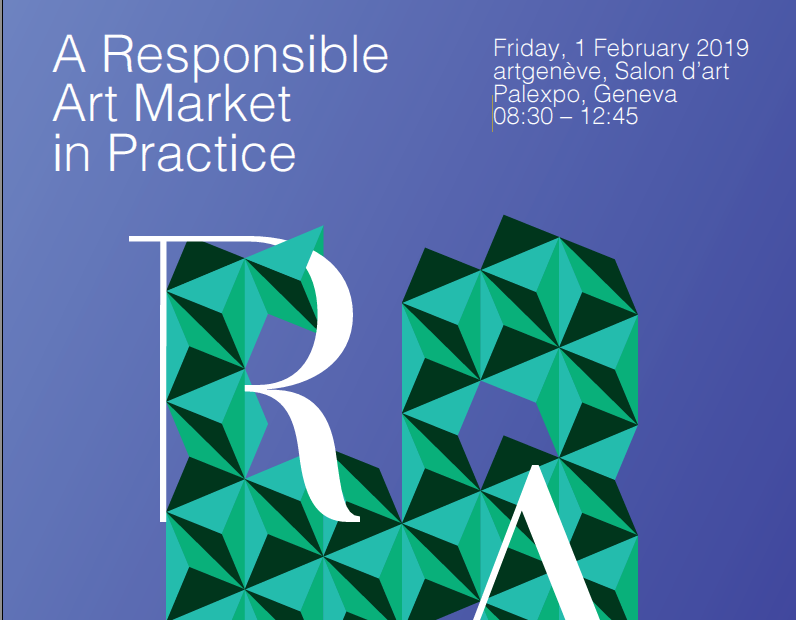 RAM is presenting its latest event “A Responsible Art Market in Practice,” to be held on Friday February 1, 2019 at the Palexpo in the venue of the artgenève fair. After joining the RAM Taskforce and contributing to its Toolkit and country guide for the US, I am pleased to be presenting one of the case studies, in between a roster of distinguished speakers and experts. I hope to see you there!